The Outer Sunset is an area of San Francisco unknown to most visitors to the city. 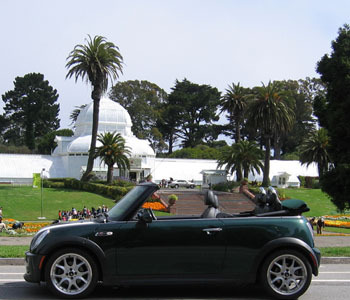 Even residents know little about it, other than it is boarded by the Pacific Ocean on the west, Golden Gate Park on the north, and is usually considered as being the blandest neighborhood in the city. However bland most of the Sunset is, with rows and rows of look alike houses, there are gems. 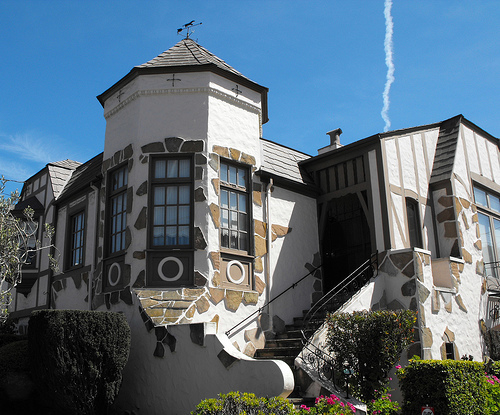 These quirky homes have a variety of fanciful facades, such as a Tudor, a Spanish style, and Parisian Art Nouveau. These are the inspired idea of architect and developer Oliver Rousseau. In the early 1930, he wanted to build homes for working class people that had a touch of whimsey and elegance. His ideas and designed were later copied by others. 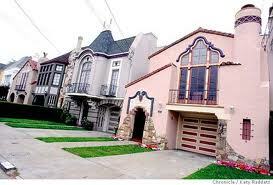 The largest cluster of these storybook homes is along 33rd to 36th avenues between Kirkham and Lawton streets. If you’re in San Francisco and love architecture, you should make a point to venture out see an area that even most residents of the city are unfamiliar with. Big tour buses can’t take you there. 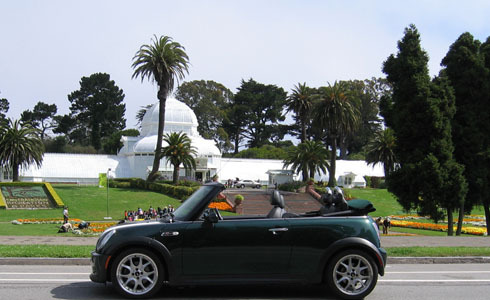 But Small Car Big Time Tours can.